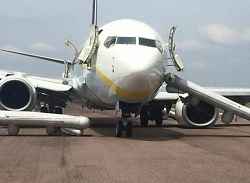 The Boeing 737 experiened a partial collapse of its left maingear on landing rollout runway 19 at Khajuraho. 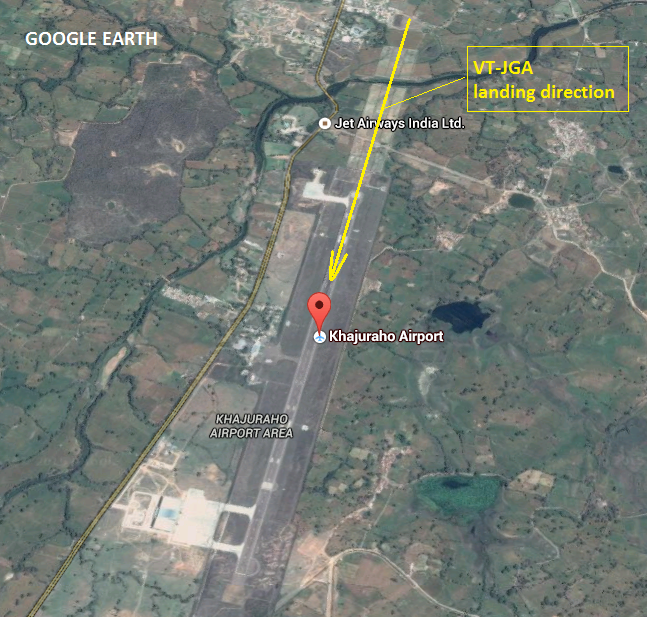 The left engine came into runway contact before stopping. 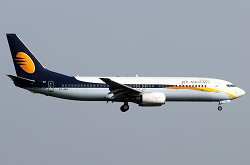 The aircraft came to a halt on the runway but received substantial damage. All passengers were evacuated via emergency slides. The airport was forced to close for traffic for at least 24 hours. Unconfirmed eyewitness reports indicate there might have been a tire blewout on landing run just before the left gear gave way.